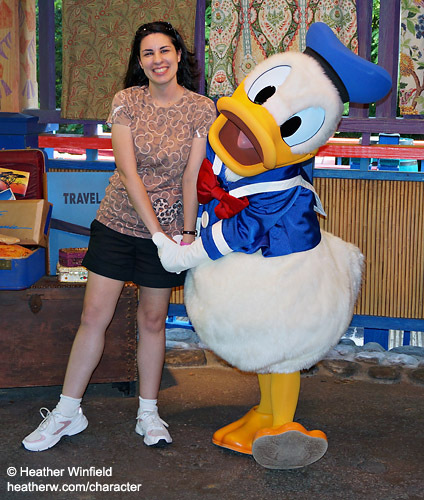 Meeting Characters is one of my favorite things to do at the parks! 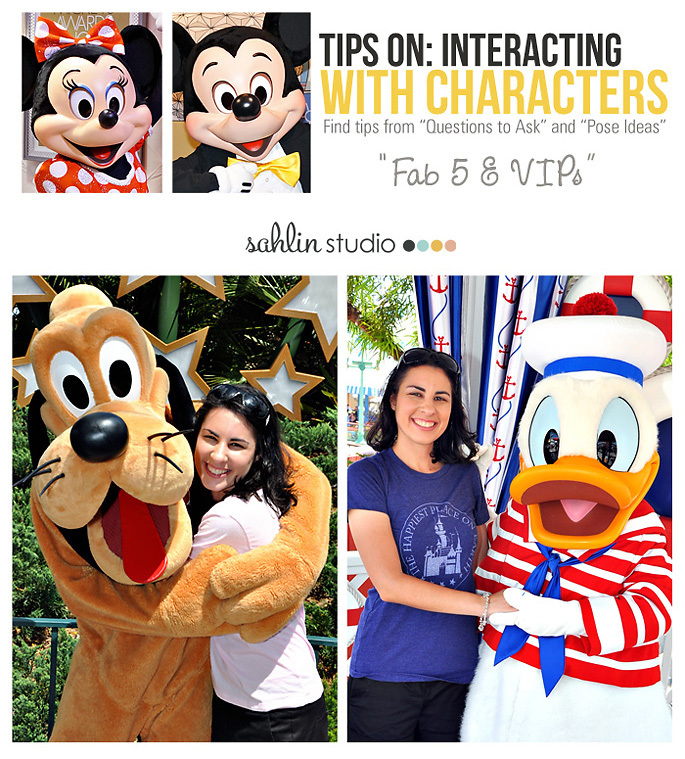 It can make your day when you have a personalized meeting with a character. And, while getting an autograph and picture taken with a character is fun, having a great interaction with a character is even more fun! On my last trip, my character meets seemed a little bit more unresponsive. 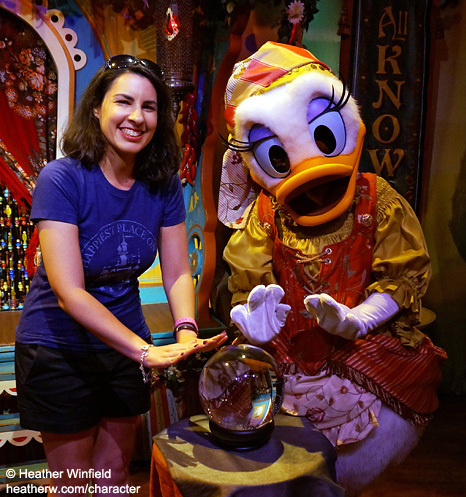 This got me thinking… “what can I do to make a more personalized interaction between the character and my family?” I knew I need to talk to a Disney Veteran and Character Pro, Heather (snowdrop), (on my creative team). 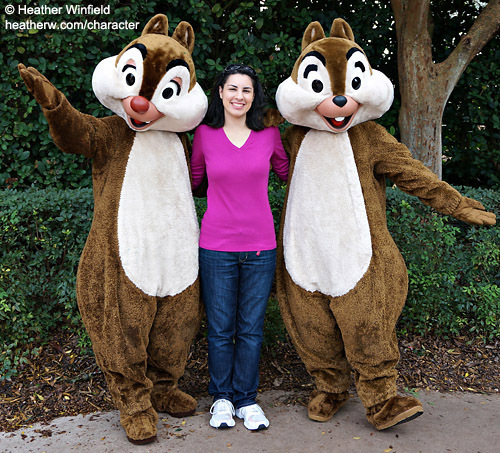 Heather has met over 235 characters, and has a website dedicated to characters she’s met, I Love Characters. Stop by her site to check out all her character meets! 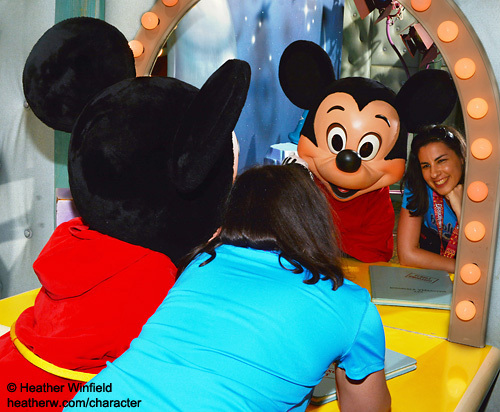 Characters are always ready to pose for photos and sign autographs, but you could be missing out on a bit of fun. They are always ready to play with guests and may just need a little prodding to do so. So try asking them a few things and you could get a really great and memorable experience. 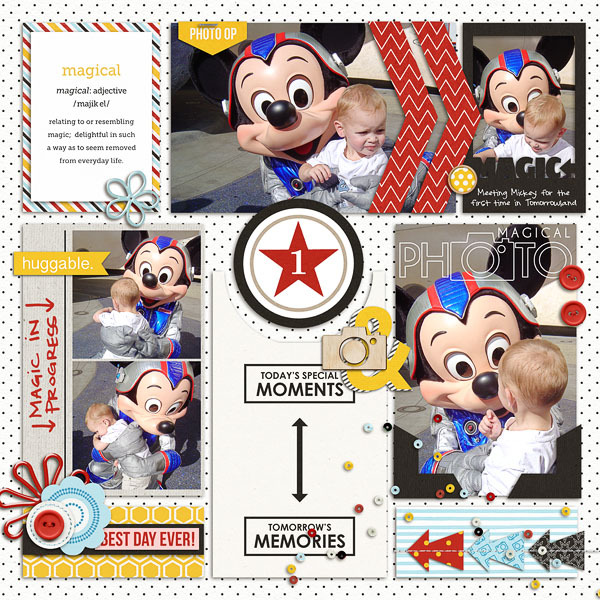 Today, let’s talk about meeting and interacting with Mickey and Friends, the VIPs of the Disney parks! 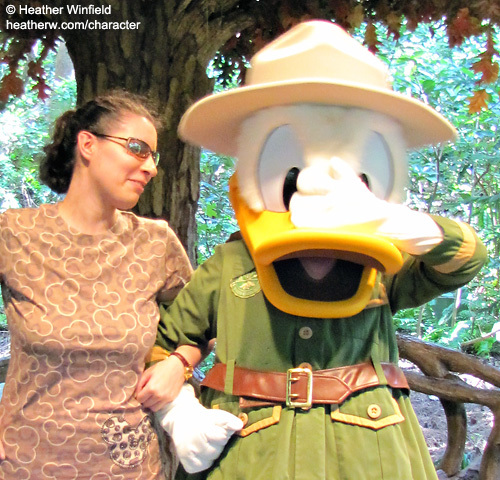 These characters also have many different outfits that they wear though out the parks, so I will include some specific interaction tips for those found daily in Walt Disney World & Disneyland. And when in doubt, compliment their adorable (because it’s always adorable) outfit! -Talk about Pluto. 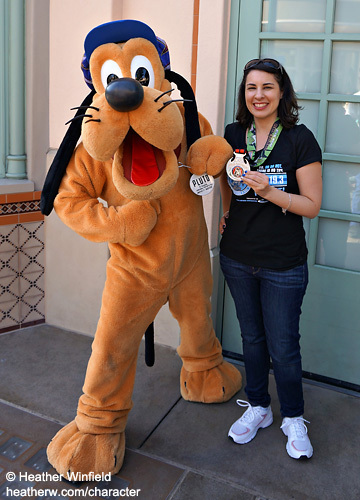 Ask if anyone has returned Pluto to him after they read Pluto’s tag! -I always suggest wearing a shirt or outfit with the character on it, but this is especially easy for Mickey! Bonus for wearing ears! 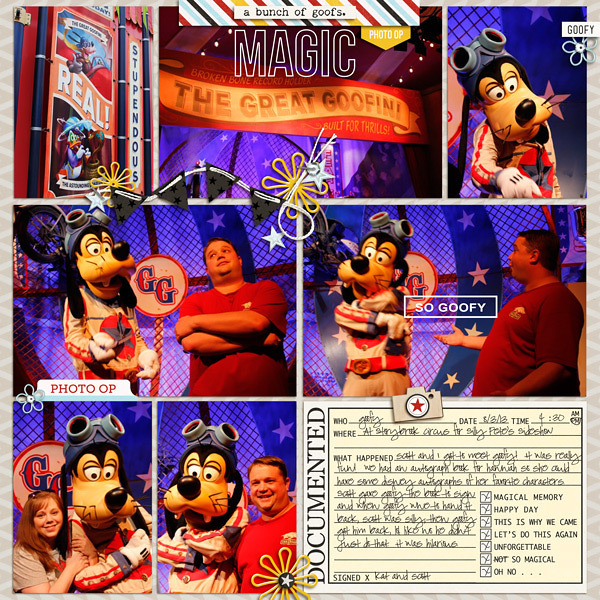 -If meeting him at Chef Mickey’s or Garden Grill character meals at Walt Disney World, compliment him on cooking such a great meal! -If meeting him in his Sorcerer apprentice outfit at Hollywood Studios or Disneyland, ask him about the magic of the hat! -If meeting at Disneyland, ask about his house in Toontown. 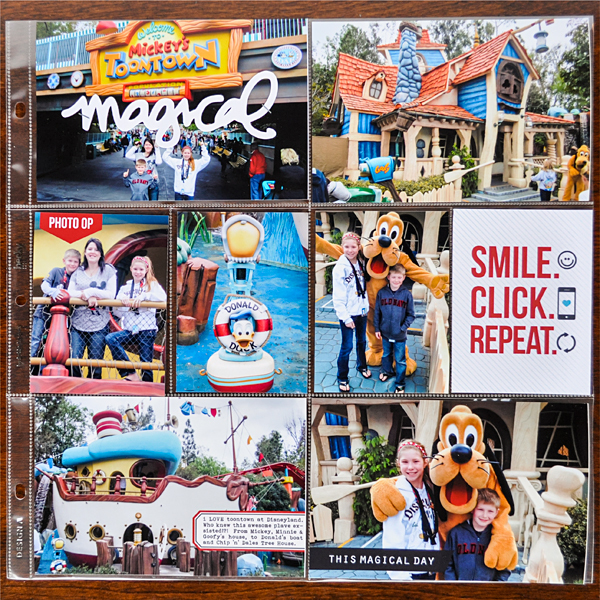 -If meeting him in his house in Toontown in Disneyland, ask if he wants to do a pose in front of the mirror! -If meeting him at Disney California Adventure on Buena Vista Street, talk about how you love watching him star in the trolley show. For a fun picture, do a “One for all and all for one!” Newsies Pose from the show! 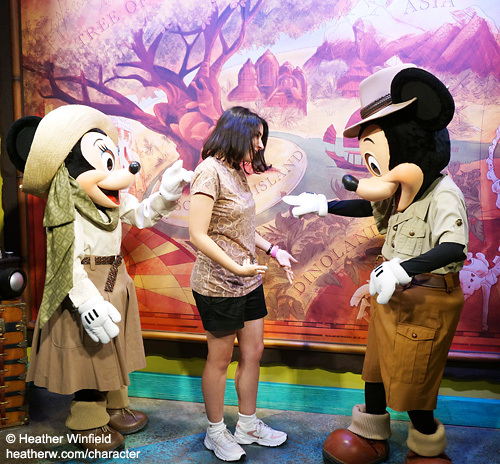 -As with when you meet Mickey, if you have ears, especially with a bow, wear them when you meet Minnie! She’ll love them and you can chat about them! -Compliment her wardrobe. I know that I would love her closet! Tell her which is your favorite outfit you’ve seen her in, and ask which is her favorite! 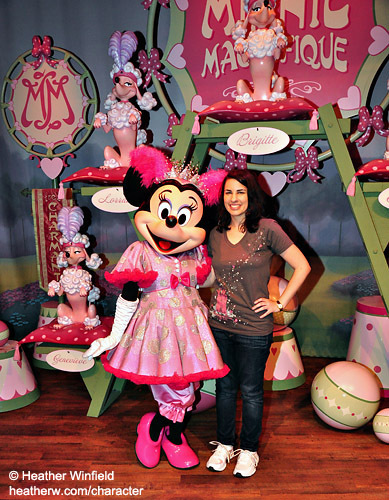 -If meeting at Magic Kingdom in Storybook Circus, ask her about her poodle training! Ask her which poodle is her favorite. -If meeting at the Cape May Café Breakfast at the Beach Club, ask to do a swimming pose! -If meeting her at Plaza Restaurant or Goofy’s Kitchen character meals at Disneyland, compliment her on cooking such a great meal! 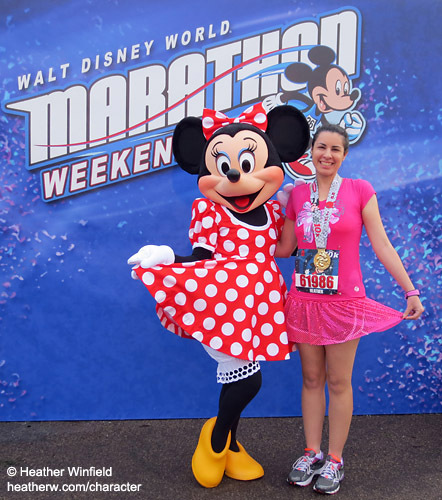 PHOTO POSE IDEA: For a fun picture, show off your skirt with Minnie! 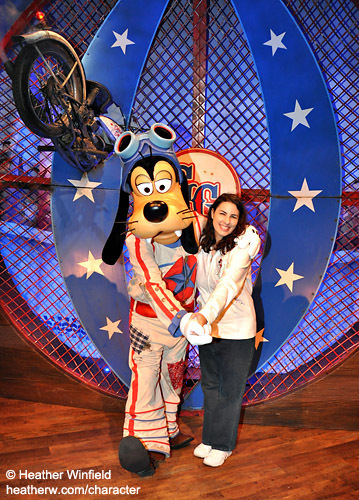 -If meeting at Magic Kingdom in Storybook Circus, ask how his motorcycle ended up through his backdrop. 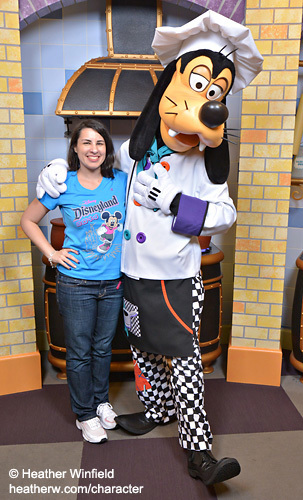 -If meeting him at Goofy’s Kitchen at the Disneyland Hotel, compliment him on cooking such a great meal! 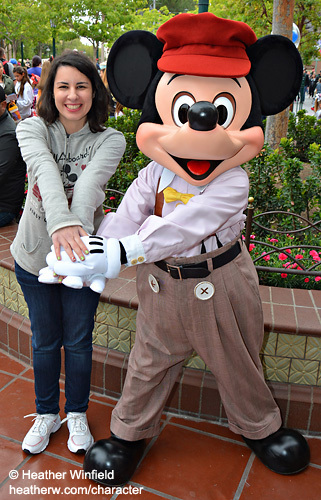 -If meeting him at Disney California Adventure on Buena Vista Street, compliment him on his spiffy clothes and his dancing during the Five and Dime Show! -Read his tag out loud which says, ” If found, please return to Mickey Mouse”, and tell him you must take him back to Mickey now! -Tell him he is much cooler than those stinky Dalmatians! 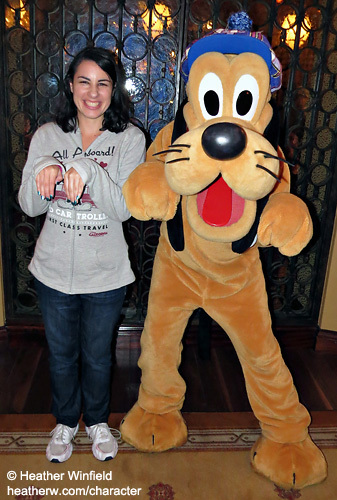 -If meeting him at the Magic Kingdom, and Marie is meeting next to him, compliment him playing well with cats! PHOTO POSE IDEA: For a fun picture, do a puppy pose! -Ask about Huey, Dewey and Louie! -If meeting him at Magic Kingdom in Storybook Circus, ask him to show you how he charms snakes. -If meeting him at Mexico in Epcot, ask about Jose & Panchito, his fellow caballeros! 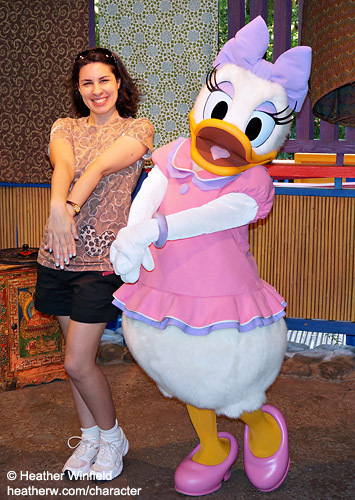 -If meeting at Magic Kingdom in Storybook Circus, ask her to read your fortune. Also ask to get a picture with her crystal ball! -If you are meeting them solo, ask about the other and where he is! -Tell them YOU know how to tell them apart, but your friend/parent/etc doesn’t know which is which, and ask what the best way to know is. -Talk about how much they love playing jokes. Ask if they are ever going to stop playing pranks on Pluto and Donald. -Ask them which one is going to end up with Clarice! 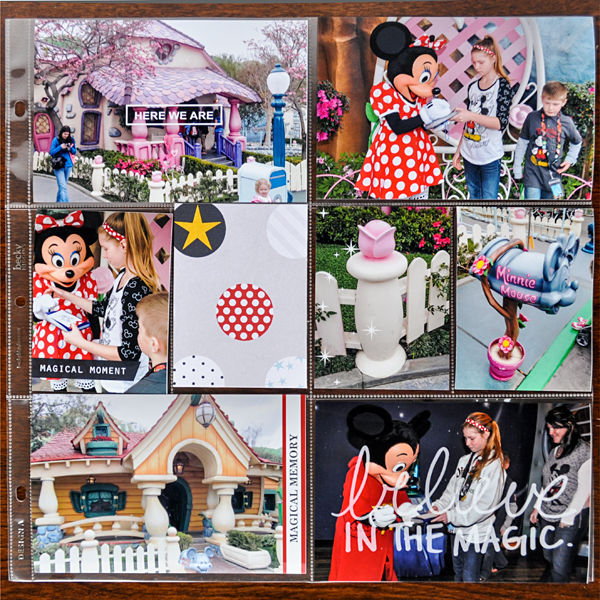 Looking for a great way to document your Character and Disney moments? 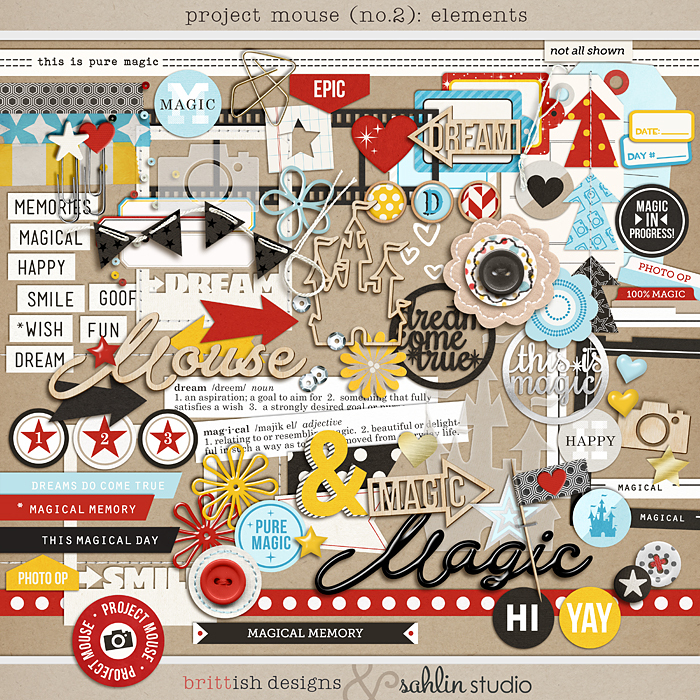 Check out and learn more about Project Mouse collection. Question about the new kit being released – How do you tag someone on your instagram site? I don’t know how to do that. No problems. Just go to Instagram on your phone app > then go to my kristasahlin page with the giveaway page > just leave a comment, add @ in front of any of your friends names that are interested. For example: This looks SO cool. Thanks for the chance. 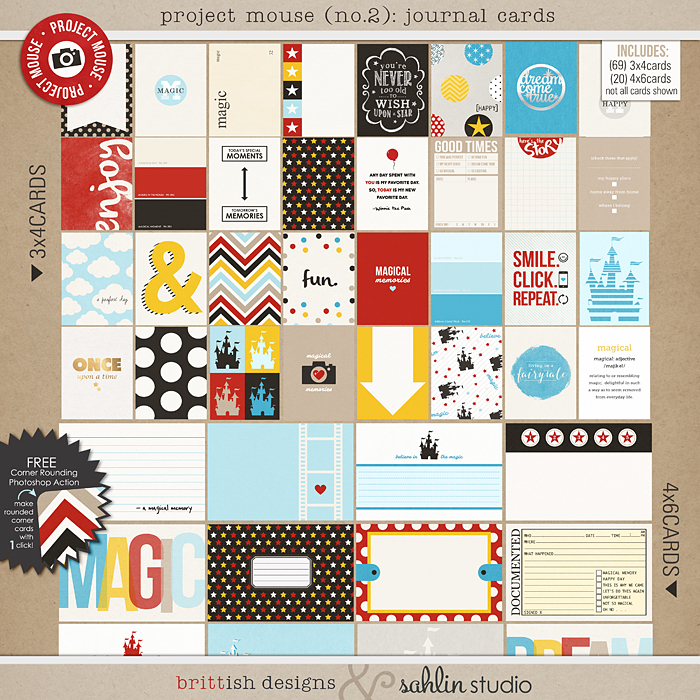 @kristasahlin @designerbrittney you might be interested. Make sense? Hope this helps.